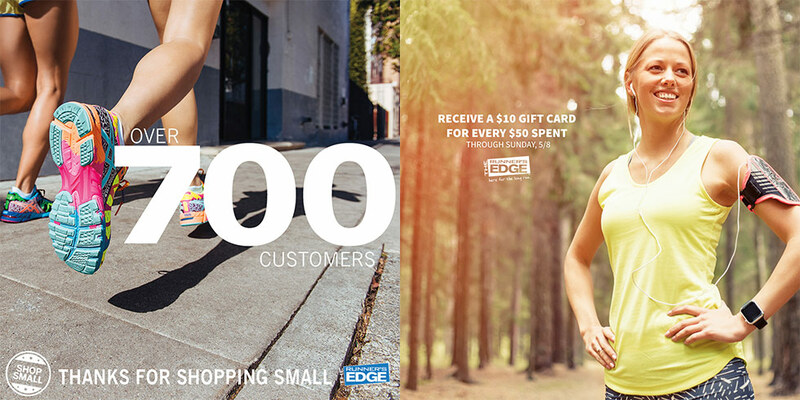 The Runner’s Edge is a running shoe and apparel store with three locations in the Chicago area. Founded in 1992, they have a great reputation in their local communities as a destination for high quality products, a friendly and knowledgeable staff, and a relaxed and comfortable shopping environment. How does a busy brick-and-mortar store find the time and energy to build an eCommerce site and compete with online retailers? The Runner’s Edge has three locations, not to mention weekly running groups and popular in-store events, all of which takes time, energy, and attention. Over the years, their physical stores have thrived as comfortable places to shop, learn, and socialize. Their website, on the other hand, was a barebones affair that was both dated and difficult to navigate. It also didn’t offer their customers anyway to shop online. As online shopping has become more prevalent, this meant The Runner’s Edge was beginning to lose out on sales. The Runner’s Edge website wasn’t their only issue. They’d tried to keep up with the times by getting their brand on social media, but quickly found that maintaining active accounts wasn’t as easy as it looks. Their staff already had their hands full and didn’t have the time to devote to online campaigns, and their social presence languished. In the end, The Runner’s Edge problem was one which many business face. They did everything right in person, but needed the assistance and expertise of a digital marketing agency to expand their store and services online. It was a role Sage Island was thrilled to fill. Sage Island’s approach was two pronged when it came to creating a solution for The Runner’s Edge. Our social media marketing team immediately took over their social media accounts, while our graphic designers and programmers began creating a custom website and eCommerce platform that would fulfill the store’s needs. Created social media accounts and grew online communities. At Sage Island, each client is unique and we scale our approach depending on their needs. 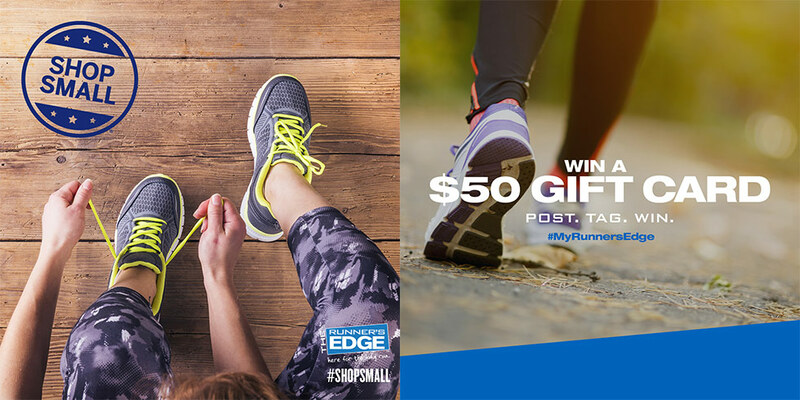 With The Runner’s Edge, we took an active role, developing a partnership with the store owners and working with them to develop and elevate their social media presence. We began by taking over the store’ Facebook, Twitter, Instagram, and Pinterest accounts, and began building their communities with a combination of paid advertising and engaging original content. While the new website and eCommerce store were being built, we focused on growing their community within in the Chicago market, particular people in close proximity to their stores. In less than one year, their Facebook community gained over 6,850 fans, their Twitter account gained over 460 followers, their Instagram account gained over 500 followers, and their Pinterest gained nearly 100 followers. 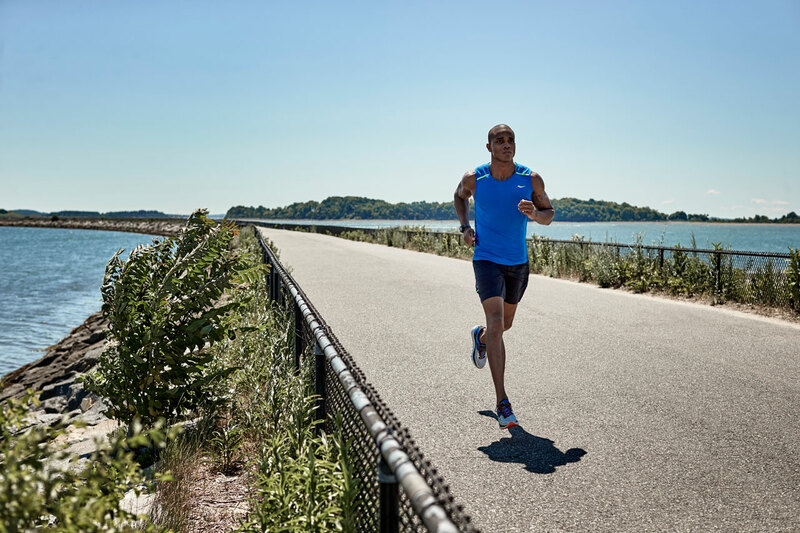 This has allowed The Runner’s Edge to further establish themselves as Chicago’s number one destination for running gear as well as a lifestyle that is fit, active, and happy. Later, when the website and eCommerce store launched, we began to combine local and national targeting, depending on the campaign and post, to reach a wider audience and expand the reach of The Runner’s Edge. 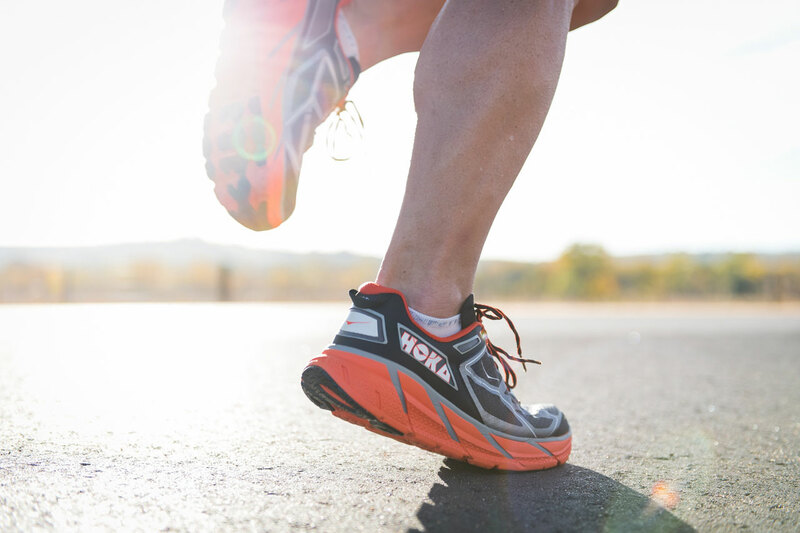 While The Runner’s Edge wanted to begin offering their products online, they didn’t want to lose the camaraderie and community they’d spent the last twenty years building. To that end, we created a specific community page that highlights local events, running routes, and TRE run groups. Our team supported these events through online promotions and unique hashtags, leveraging their online communities to attend and support in-store events, as well as hosting online promotions and giveaways. We also implemented local awareness campaigns which reached their target audience when they came within five miles of the store during events and sales—a strategy which directly increased store traffic and sales during these events. By highlighting these real life events in The Runner’s Edge virtual space, we’re able to promote them more effectively and help their community to continue to grow. And when it comes to The Runner’s Edge, community is what it’s all about. 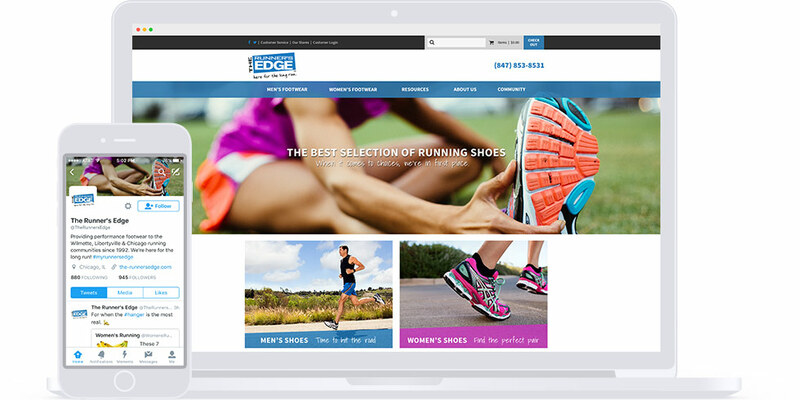 While our digital marketing team was busy building online communities, our design & development team began creating a clean, modern website for The Runner’s Edge. The new site is simple, dynamic, clearly organized and exciting. A rotating slider highlights engaging lifestyle imagery and upbeat copy that captures the fun and passionate vibe of the store, displaying sales, promotions and highlighting new products. The homepage also includes large call-to-actions that direct shoppers to Men’s Shoes and Women’s Shoes (the two most popular categories) as well as links to other popular pages, including Men’s New Releases and Women’s Favorites, buying guides, local events, and a blog. 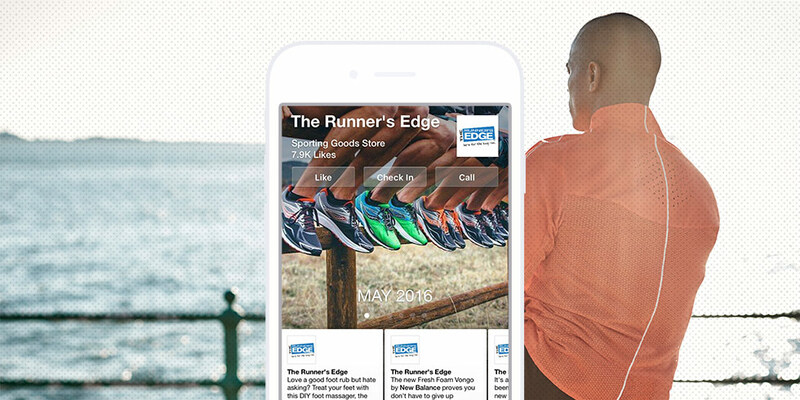 In order to compete with large online retailers such as Amazon and meet their customers where they shop, The Runner’s Edge knew they needed a powerful, easy-to-use eCommerce store. We designed and developed a custom eCommerce solution to sell products online. Drop down menus in the header make it easy to navigate through different categories and drill down to specific products, such as a green, size 9, women’s shoe by Saucony. The new website and eCommerce store are fully integrated with The Runner’s Edge inventory management and in-house ordering system. The site sends orders and SKU numbers into the retailer’s inventory fulfillment application, which the website then displays in a streamlined and automated workflow. 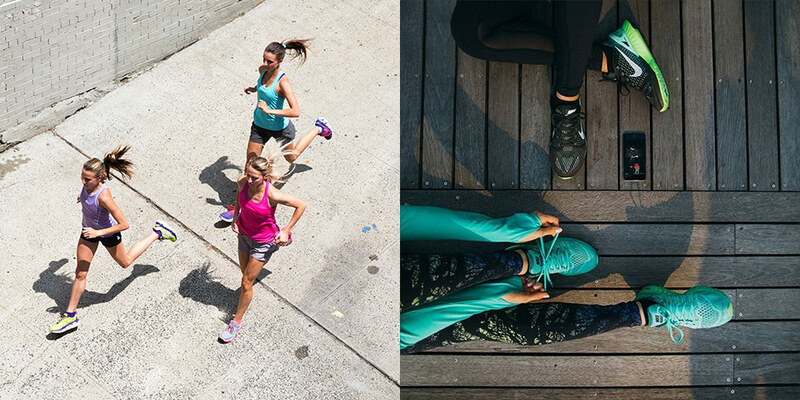 This allows The Runner’s Edge to take advantage of many exciting options, such as in-store pick-up, synchronized inventory between the eCommerce site and the brick-and-mortar locations, a consolidated inventory management system, and—most importantly—a fluid shopping experience for their customers. Finally, product pages feature clean, simple images of gear, as well as an SEO-friendly description. They also include a pop up size guide and width chart to help customers buy the best fit. At the bottom of the product page, customers will find extensive Tech Specs and additional Brand Info. All this information is uploaded by the store owner through an import process that is simple and straightforward, thanks to the easy-to-use content management system in which the platform has been built. Are you ready to take your brick-and-mortar store to the next level? Take the first step forward and contact Sage Island today. Our team will find the e-commerce solution that’s right for you. Total Campaign Impressions in 11 Mo.